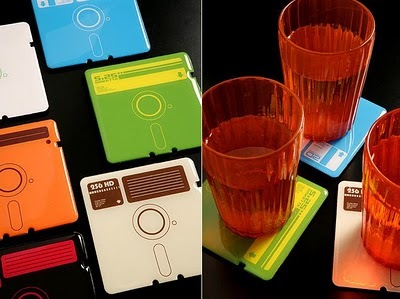 Reusing things is cost effective and ecological, these creative reuse ideas are not only for the purpose of recycling but they turn your old things into functional and innovative pieces. 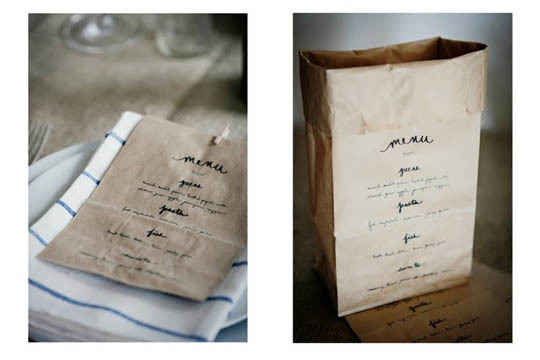 Reusing can be lot of fun and with added creativity it can turn into a gifting item or a decorative piece with no additional cost. 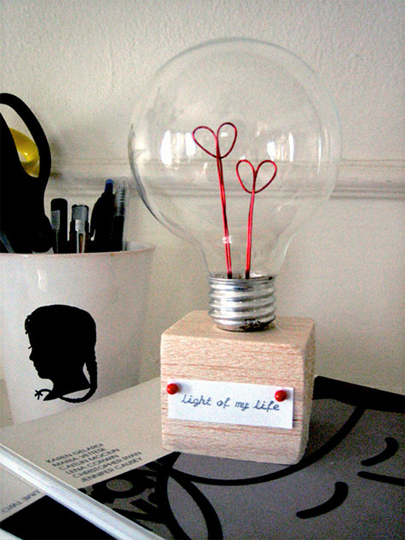 Here are some DIY reuse ideas to get you started. 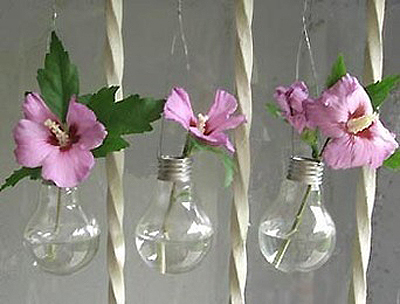 These cute little old light bulbs can be use as plant holders, Go Green! 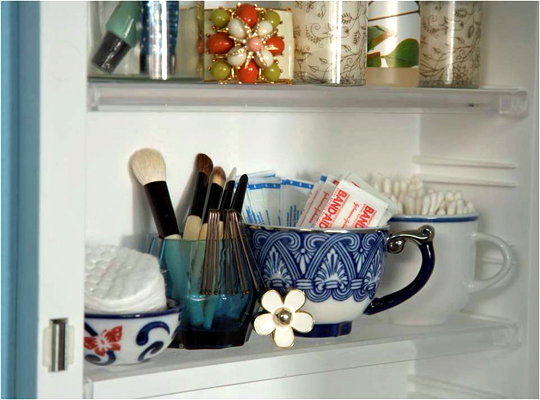 You must have seen your mother using old cans or vintage cups as storage option in kitchen, dressing table or washroom cabinet. 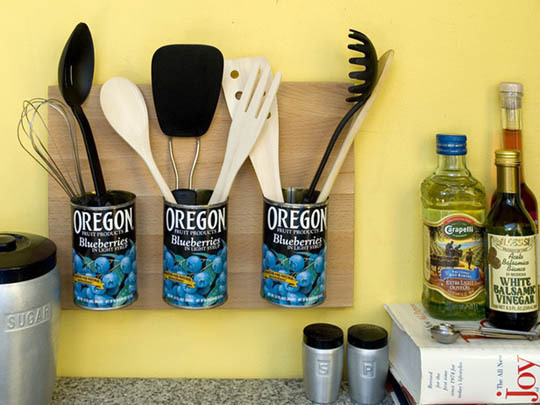 Another best way to put old kitchen stuff to use would be to make old spoons as hangers. All you need to do is just fold them in circle and nail them to wall. 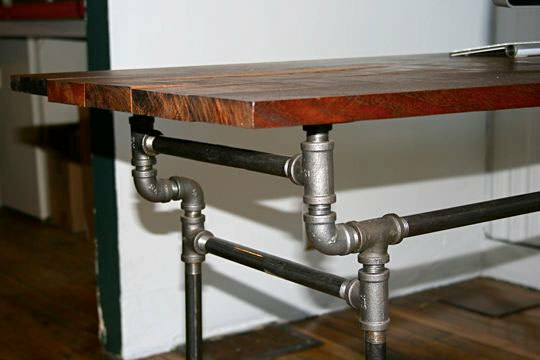 Try this unique bathroom pipe fittings combining with wood, you might amaze yourself by creating an modular piece of furniture. 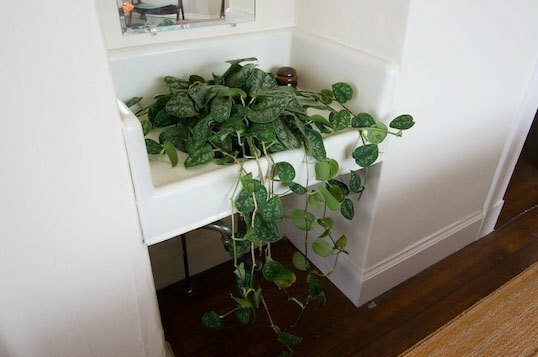 Why to throw an old sink just because its out of fashion or you just renovated your washroom. 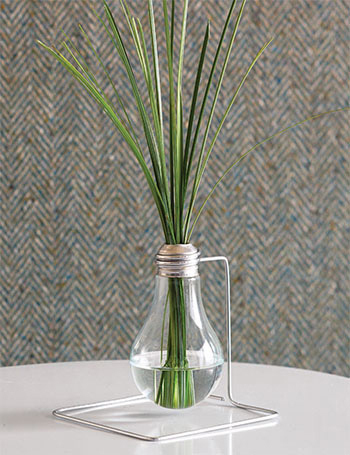 It can be used as indoor planter or can be a small garden on your porch. 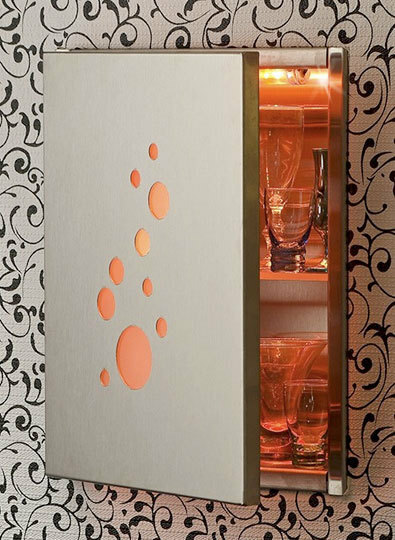 Not usually thought or applied, but you can reuse bathroom cabinet as your personal mini-bar. 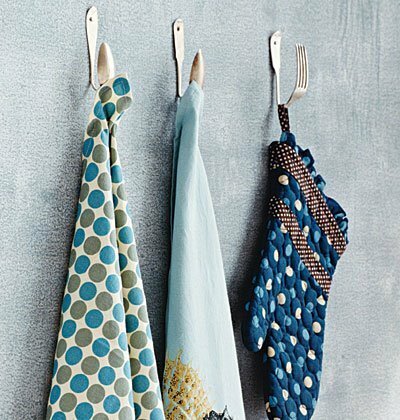 Your old t-shirt is not good to wear but you don’t want to give it away? 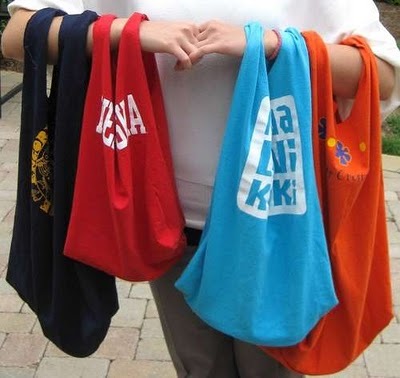 No problem you can join the two ends and you have your trendy tote bag ready. I found this really innovative and it saves on all the money you spend on the carry bags. You can join old menu cards to make one for yourself. Best part it can be recycled! With all the technology and gadgets getting updated everyday, old computers lay unused. 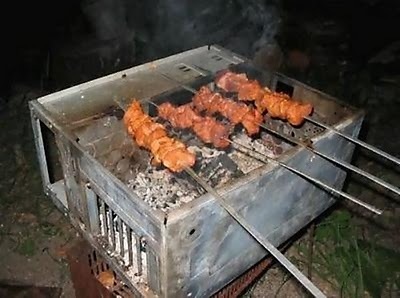 Well, good news, old CPU can be used as grill. 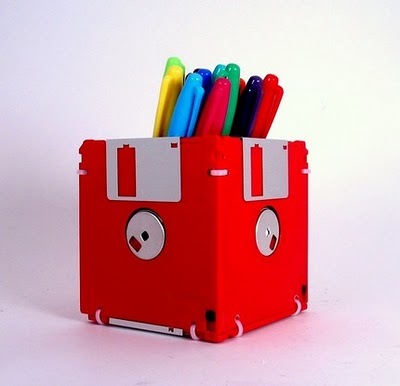 Old floppy disks can be used as pen holders or coasters.